(Lincoln City, Oregon) – Last call for glass float balls on the Oregon coast. At the end of May, Memorial Day Weekend brings the unofficial kick-off to the summer season, but that beginning also means the end of the glass float season in Lincoln City. Finders Keepers comes to a close, but with a climactic bang. This is when Lincoln City's mysterious Float Fairies hide an extra 100 glass floats on the beach, happening throughout the weekend from May 27 through May 29. This year's Finders Keepers festival of floats began on October 22, 2016. Each and every day, through all weather except a few extreme storms, volunteers lovingly known as Float Fairies hid hand-made glass art pieces along Lincoln City's seven miles of soft, sandy beach. They were carefully placed between the high tide line and the embankment where the foredunes begin - a whole 2017 of them, and each had a distinctive number engraved on them. At this special drop – as always – if you find it you get to keep it. Included with this special glass drop is a jumbo sized float with a weekend getaway prize package attached to celebrate the closing of the season. The prize package includes lodging, restaurant and activity certificates. Each registered float comes with a certificate of authenticity along with a biography on the artist who made the float. Taking the summer off, Finders Keepers returns October 14 of this year. More fun happens once you find one of these glass treasures. You can then register the float with the Lincoln City Visitor & Convention Bureau (LCVCB) by going to the information center at 540 NE Hwy 101, or by calling 800-452-2151. 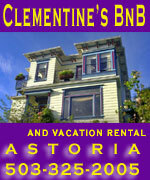 You can also do so online by texting FLOATS to 24587 or by visiting their website, OregonCoast.org. Once a float is found, share it with others on Lincoln City's social media channels: Facebook by visiting Facebook.com/LincolnCityOregon, on Twitter using @LincolnCityOR, or on Instagram using @lincolncityor. This past year, the LCVCB said it had dropped over 3,000 glass floats throughout the season. 2017 were numbered, but hundreds more were dropped for special occasions. The agency said that Thanksgiving weekend an extra 100 glass art pieces were dropped to commemorate the holiday, while on Earth Day some 15 Earth globes were hidden to celebrate the occasion. Finders Keepers is an annual promotion that started in 1999, when a local artist first thought of glass floats as an interesting way to launch the new millennium. Lincoln City officials fell in love with the idea and sponsored the project, hosting the inaugural season in 1999-2000. Guests of Lincoln City now come from across the country to search for their very own glass keepsake. The Finders Keepers concept came from the Oregon coast's rich history of glass float treasures being found on beaches for generations. These arrived ashore from the far east: blown glass in intriguing shades of green and blue. Used by Japanese fishermen to float their nets, these glass spheres were as small as two inches or as large as two feet. They were collected, polished and admired; the ultimate find for dedicated beachcombers. Today, fishing vessels use buoyant plastic, making glass floats an increasingly rare find.